Hold fokus på treningstider, samlinger og annet. Følg med på e-post - viktig informasjon vil deles fortløpende. Players invited must attend both days. These two days will help to build a better picture ahead of the tour to Guernsey so commitment is crucial. Please note that the Norwegian Cricket Federation is changing the landscape in regards to the National Teams set-up. As explained at the recent Players & Coach Meeting we are looking for players commitment to Training and there are major concerns that players are not attending and haven't attended. 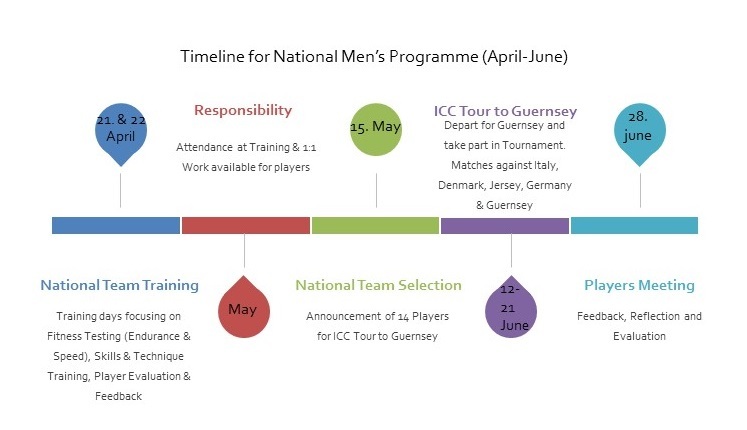 To give yourself the best chance for selection to Guernsey, attendance at Training is crucial...... No show, means no go! We are looking to create a professional environment and need the support of the players for this to be successful. Please contact me on shaz.khan@cricketforbundet.no or 468 11 943 to confirm your attendance. If you can't attend for genuine reasons please let me know as well. If you do not communicate, I will assume you are not attending the Training Days. Any questions, please ask. National Squad Training takes place on Fridays at the NCA from 6:30pm-8:30pm and I hope to see as many of you there as possible.